I bought a ton of stuff today because I went to Almere. The mid season sale started last week so I wanted to check out the H & M sale in the store. Sometimes the clothes are more priced of in the stores. 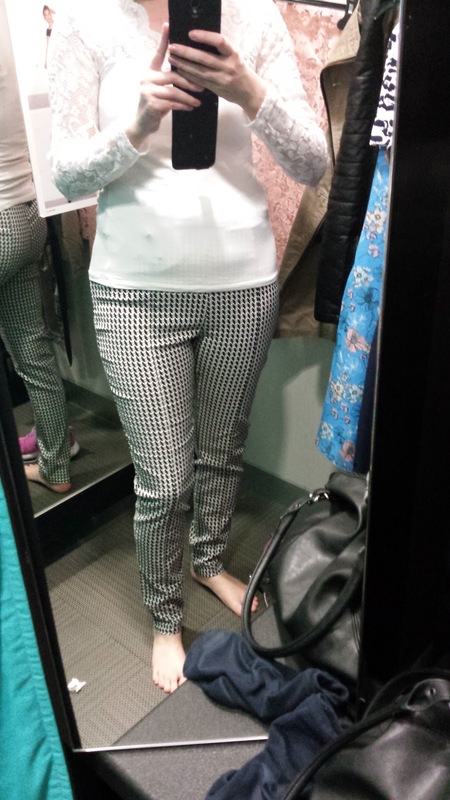 And sometimes you find different clothes on sale in the store. Or something is already sold out online but you really want to have it and it might be in the store. That's why I always want to check the sale in the stores as well. I first went to Primary and it wasn't that busy at all. Such a relieve! I found two T-shirts for only € 3,- each at Primark. The text on the T-shirt says my favorite OOTD. It was only € 3,-, I liked the text and yeah as a fashion blogger I thought it was extra cute. 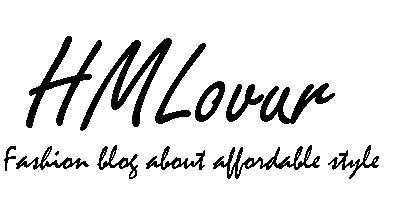 I think the title is a nice touch for all fashion bloggers. This T-shirt was € 3,- as well. I'm hoping this summer will be super long, because I have too many T-shirts I want to wear. But this one was too cute and for only € 3,- it would've been a crime if I wouldn't have bought it. Up next was the C & A because I spotted these gorgeous dresses on their webshop and I wanted to try them on (and buy several of them). 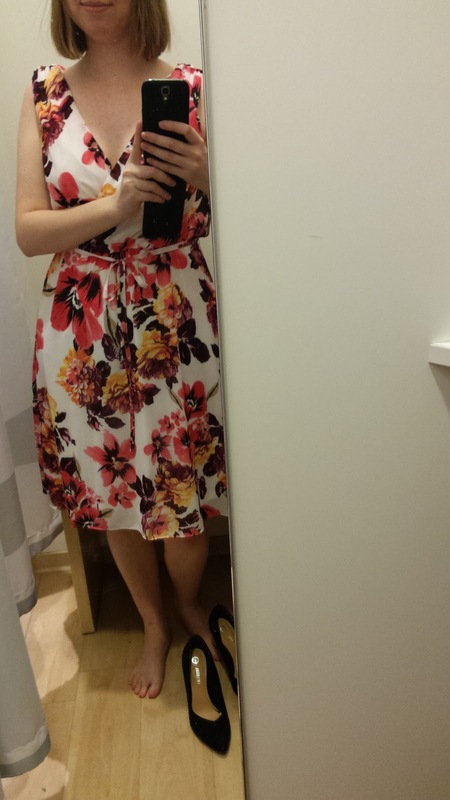 They had a gorgeous collection of dresses last year and thanks to C & A I wore this adorable dress to my sisters wedding. So I had to try some of them on. 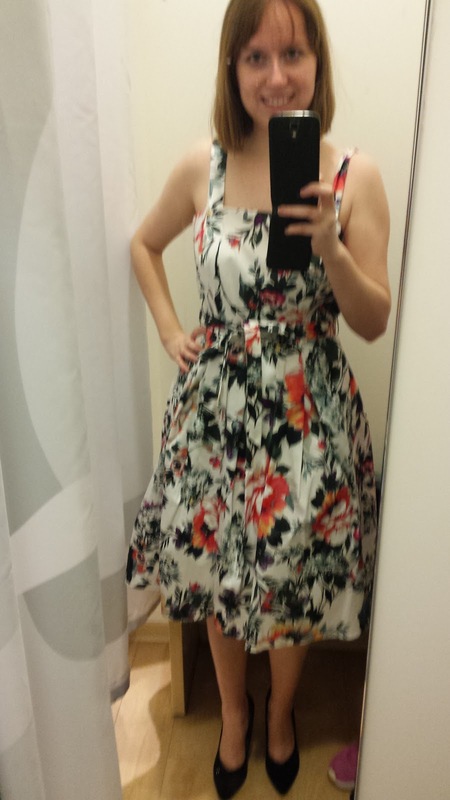 And eventually I bought this floral dress for € 59,90. It comes with a petticoat. 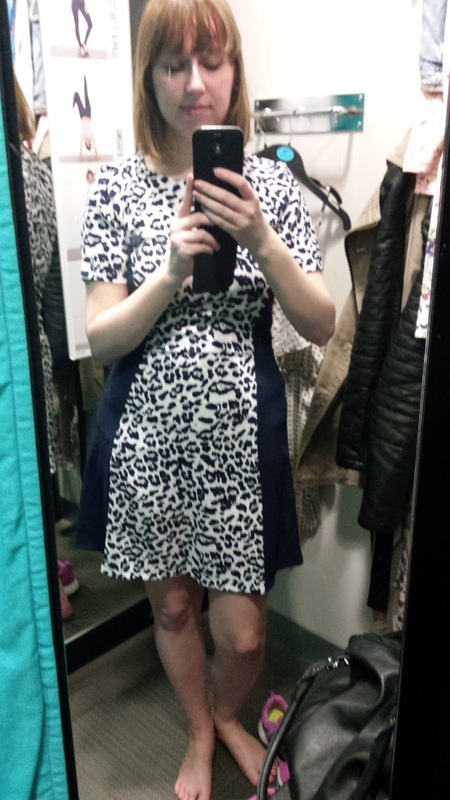 The dress looks amazing and it was also good for my ego, because I'm wearing a size smaller. I don't regret it, even though the price is a little bit higher than most of my clothes. But even when I will only wear this dress once, I will be content. Now I only need a place for it in my closet. Also the question if I was freezing while shooting these pictures can be answered with a firm YES. I also bought these turquoise fake All Stars Converse from Van Haren. They were only € 14,90 and I saw them last year and regretted not buying them. At first I hesitated, because I just bought the dress at C & A but I know myself. I wanted to have these. And so I bought them. And I also bought these pink pastel sneakers at Van Haren. These were € 14,90 as well. A great price for these comfy sneakers. They are almost as comfy as the real All Stars, yet the price is so much lower. 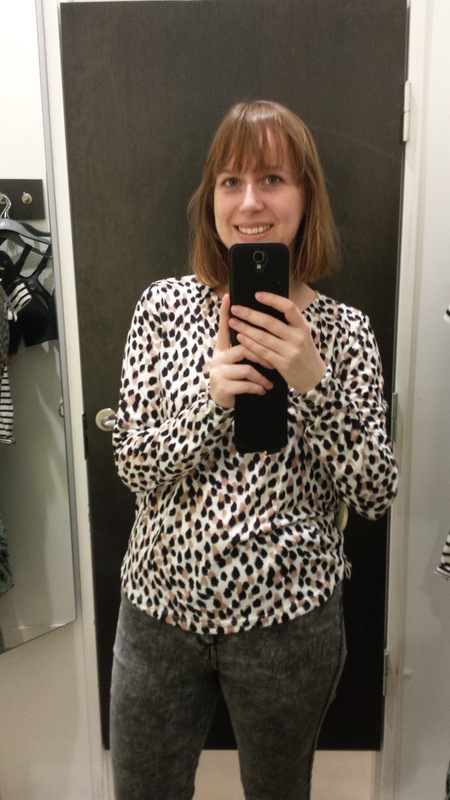 Last but not least, I got this spotted/leopard shirt from my mother. 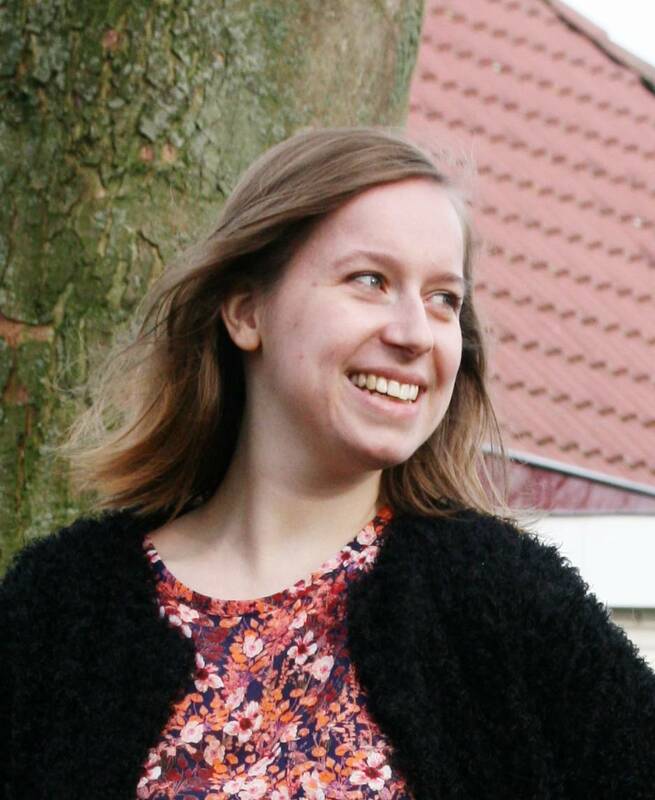 The shirt is from H & M and was only € 9,99. 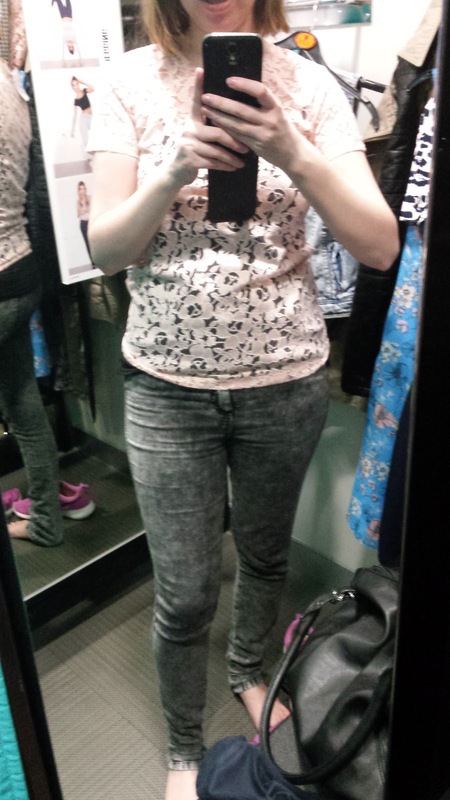 And these were the items I tried on at Primark, but didn't buy. 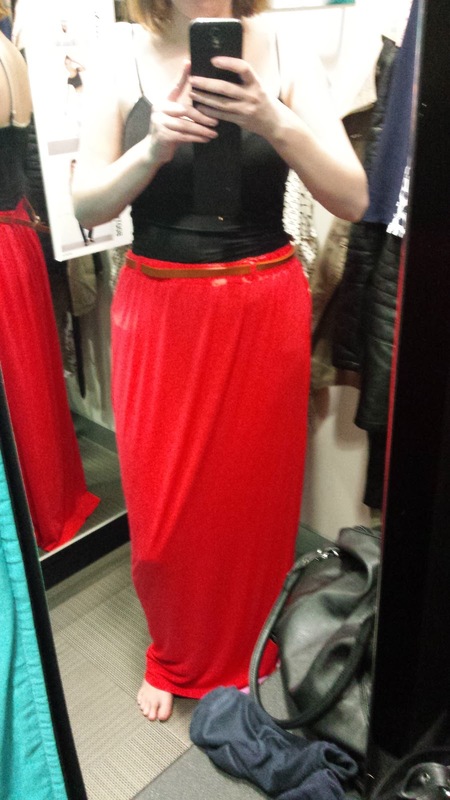 The maxi skirt was way too long, but I loved the color. I also love the blue dress and the butterfly dresses, but I already own one dress like that and how many more do I need like that (try all of them). 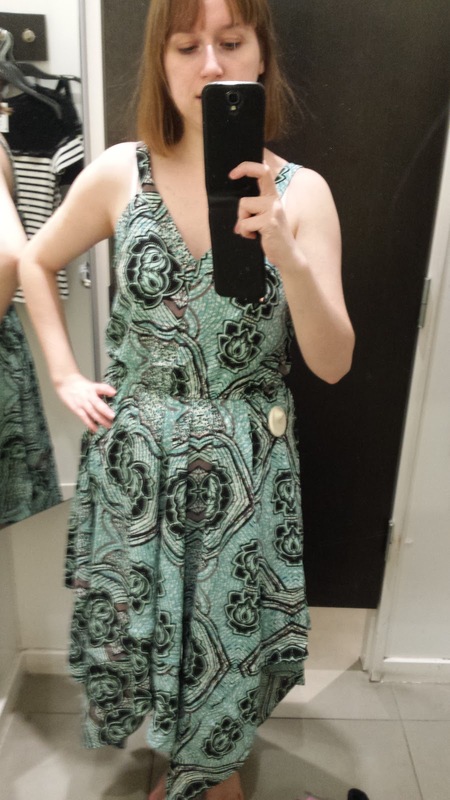 The dresses I tried on at C & A. All dresses were very popular, most of these are already sold out in several sizes online and in stores. I saw a lot of women trying them on as well. 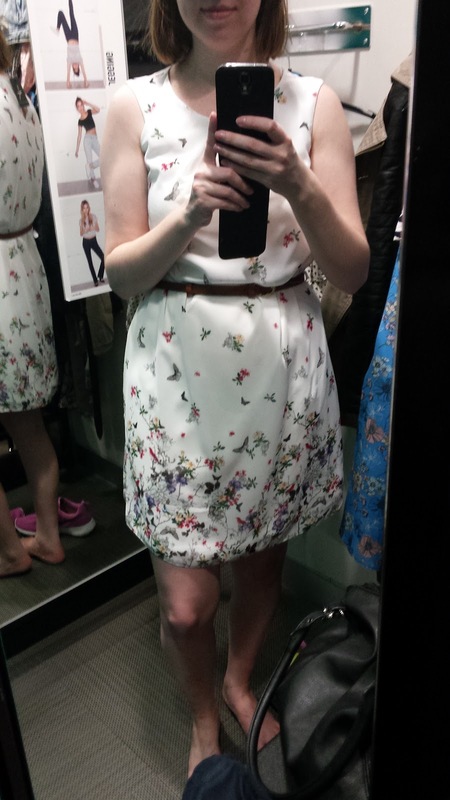 The white floral dress is the same as my black floral dress and is € 59,90. 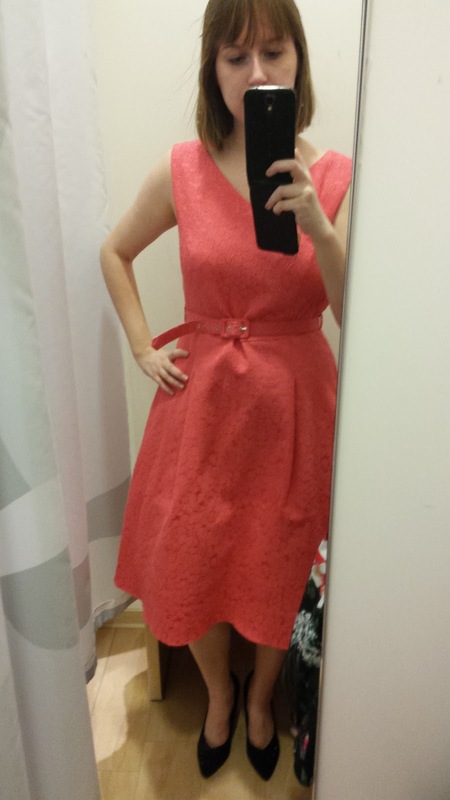 The pink one was super cute and had a petticoat as well. 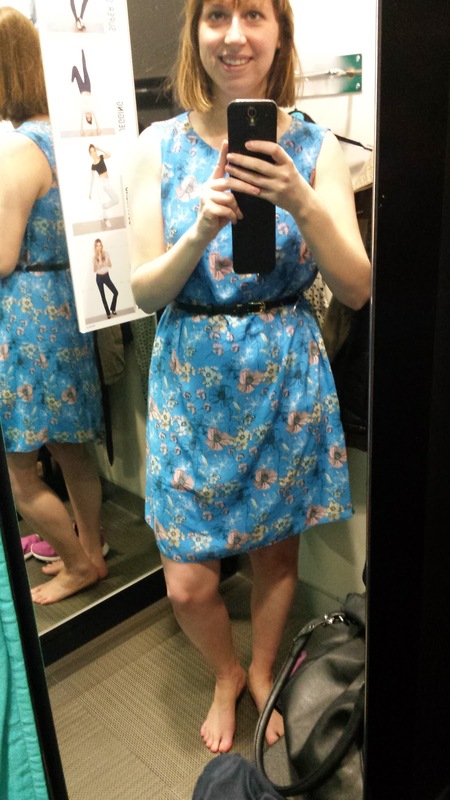 The price of that dress was € 59,90, but I prefer the black floral dress I bought. The last floral dress was quite low. The price of that dress was € 39,90. The dress and T-shirt are from H & M. I didn't buy either of them. The dress was super long, though it was very cheap. Only € 14,99. 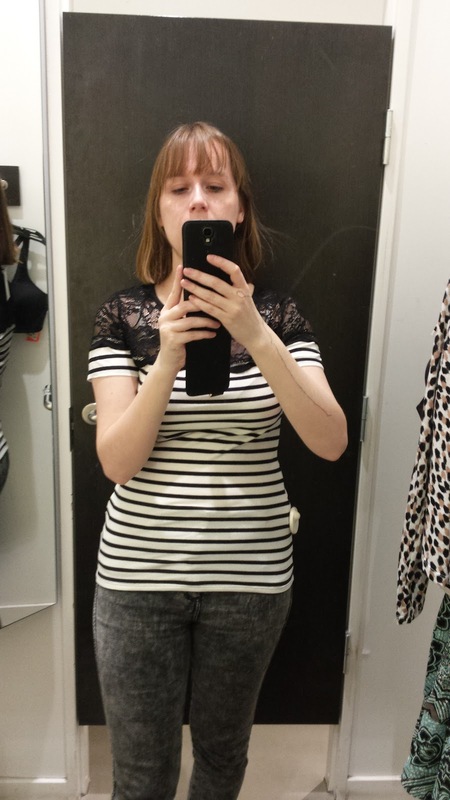 The striped T-shirt with lace was only € 9,99 and cute but I already bought two T-shirts so I didn't buy this one.